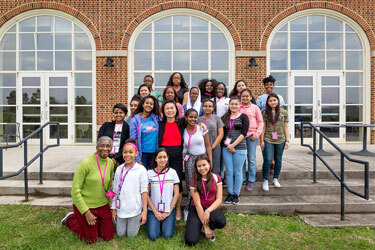 If you are a school counselor who would like to bring a group of prospective students to visit Sweet Briar, we'll make scheduling it easy and the visit enjoyable. We have an admissions counselor dedicated to our campus visit program, and she's ready to help. Wondering what that might look like? A group of students from Georgia last year, traveled to Sweet Briar by train. Read about it here. Contact Gloria to set up a date.